My wife was turning 50 and I wanted to plan something small but unique. There are two couples we spend most of our time with and we enjoy the “occasional” bottle of wine. 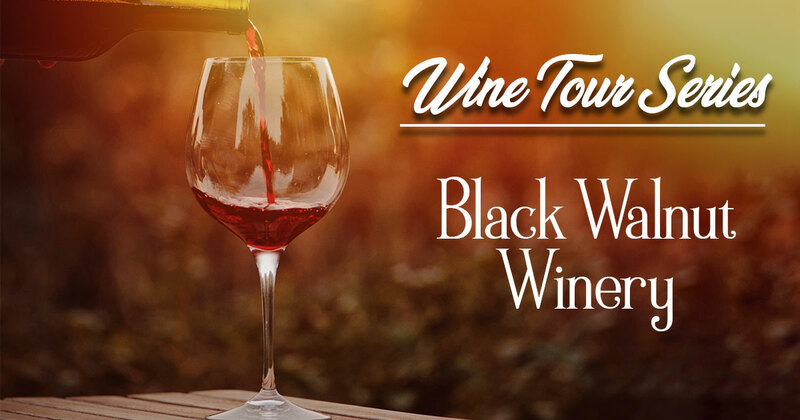 After doing some research, I came across Black Walnut Winery. The website offered a lot of information and it seemed like the perfect destination for us. The winery is young, only starting in 2001. In April of 2006, they began renovating a 198-year-old bank barn which would house Black Walnut Winery. The winery officially opened in July of 2009. In 2010, expansion was on their mind and they opened a tasting room in Phoenixville. It opened in September of 2010. They offer a variety of whites and reds and even offer some port wines. Although our favorite was a chardonnay that was the perfect balance of oaky and creaminess. We booked a black stretch limousine, a Lincoln MKT that was stellar. Amazing sound and multiple TV’s (not that we watched TV!). We were about 45 minutes from the winery so the distance allowed us a chance to pregame on the way. We arrived for a tasting and were excited to get started. We did a 5-wine tasting which included an additional 2-barrel tastings. On the day we were there, they were also doing a painting event where we painted wine glasses. Called Painting Under the Influence, I will just way it was fun! The Phoenixville tasting room can be booked for private events and they sometimes have live music on the weekends. Plus they sometimes do wine and chocolate pairings. Enough said! For something special and unique, a wine tour is a great idea. I strongly recommend it.